The latest listing is your chance to own an updated ranch home in a prime location in the city of Bottineau, North Dakota. Are you looking for a unique home at Lake Metigoshe? Look no further as here it is! This year around lake home has amazing views of 2 different bays is new to the market.The home features decks on both levels to make sure you get the most out of the daylight. 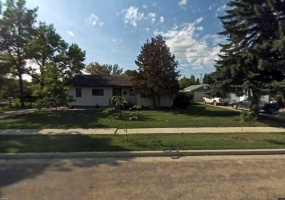 This is a great family home with many updates in a great location in Bottineau. This home features 3 bedrooms, plus 1 nonconforming bedroom in the basement, 2 full baths and over 2000 square feet of living space, along with a completely fenced in private backyard with alley access. There is also a single detached garage. 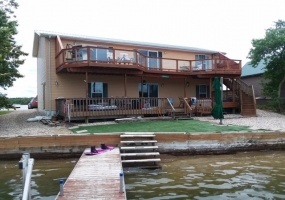 This property features a great family home that is 5 miles from Bottineau with beautiful countryside scenery. This property includes 40 acres of land with 2 large outbuildings.This beautiful home boasts over 2000 square feet which features 4 bedrooms plus 1 nonconforming bedroom and 2 bathrooms. There is an open concept kitchen/dining area with new flooring which flows into the living room. Here is your chance to own a beautiful, spacious, and modern twin home that was built in 2010. It has a large master suite with a full bathroom with a large walk-in closet. There is also a full closet in the master bedroom. Here is a great family home that is within miles of Bottineau with breathtaking views of the city of Bottineau and land as far as the eye can see. This property includes 10 acres of land.This almost 2500 square foot home features 4 bedrooms and 2 bathrooms. There is an open concept dining/living area with a galley kitchen and laundry room area on the main floor. This piece of property is what every country living home buyer is looking for! There is seclusion, peaceful sounds of nature, and breathtaking views of the prairie and land as far as the eye can see. Sit out on the deck and enjoy the view while surrounded by nature.This latest listing is a ranch style home with a walk out basement with a 2 stall attached garage that is nestled on 12. 119 Golden View Drive:Here is a condo built minutes away from Lake Metigoshe. The views from this condo over looking the spacious scenery below is breath taking. One can watch ducks, geese and the occasional whitetail deer. The outside has cedar siding and stone wains coating. There is an attached double car garage that is insulated and has floor heat. Beautiful Condo Near Lake Metigoshe!!!! Here is a beautiful condo minutes away from Lake Metigoshe. The views from this condo overlooking the spacious scenery below are breathtaking. One can watch ducks, geese, and the occasional whitetail deer. The outside has cedar siding and stone wains coating. There is an attached double car garage that is insulated and has floor heat. Price reduction on this lovely home on a corner lot close to downtown Bottineau could be your new home or would make a great investment property. 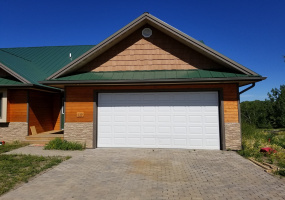 This over 900 square foot per level home features a single stall attached garage with a carport off of the garage to keep that extra vehicle out of the sunlight in the summer and away from the snow in the winter. Here is a great family home that is conveniently located right off of Lake Loop Road with breathtaking views of the city of Bottineau and land as far as the eye can see. This property includes 1.34 acres of land that is only minutes from Bottineau and very close to the Bottineau Country Club.This 2800 square foot home features 5 bedrooms, 3 bathrooms. Here is a great opportunity to own your starter home. This home sits on 2 city lots with a large backyard. There is a single stall detached garage.The main floor of this home has been updated from top to bottom and front to back. The kitchen and dining area are open concept with a large open concept living room. There is a generous bedroom with a large closet.